Spring Boot Actuator brings in several production grade services to your application. Spring Boot Actuators has various number of built-in endpoints. Actuators helps us monitor and interact with your application. Spring Boot also lets us to create our own endpoints too. These end points can be both enabled or disabled. 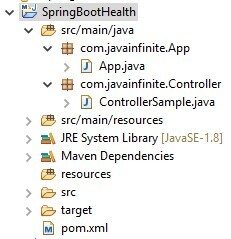 Let us write a sample application to test the spring boot actuator end points.